Using a face wash helps to effectively remove dirt on your skin as well as sweat and also makeup. It’s important that you choose a cleanser that won’t over dry your skin. Otherwise, your facial wash may just do more harm than good. The right face wash would also depend on your skin type. There are different types of cleansers suitable for oily skin and some are better for dry skin. If you do have oily skin, there are things you can do at home to help relieve it. Here are some effective home remedies for oily skin. For those who have acne, check out this guide on the best acne face wash, best face scrub and best foundation for acne-prone skin. We’ve made a list of the best facial cleansers that you can choose from. These have varied ingredients and formulas and are suitable for different skin types. 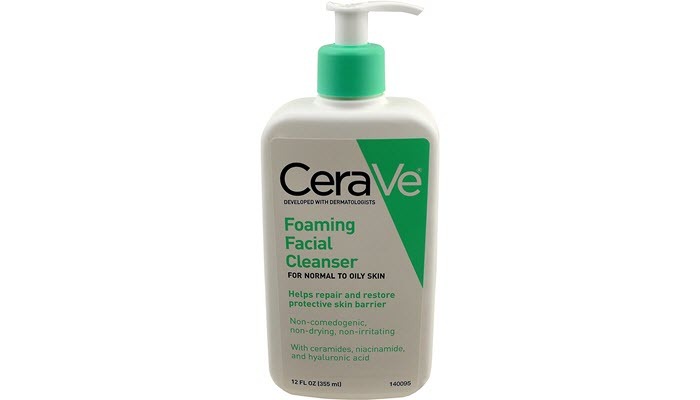 We’ve chosen CeraVe Foaming Facial Cleanser to be the number one on our list. It effectively but gently removes dirt, excess oil, and dead skin cells leaving your face clean and fresh. It has a non irritating formula that helps the moisture balance in your skin healthy and eliminates shiny and oily areas. This does not strip your skin so it’s protected from damage. The facial wash helps replenish hyaluronic acid and ceramides to produce a healthy skin barrier. This prevents tightness and dryness on your face. This has been recommended by dermatologists. The next one to top our list is the Glycolic Acid Exfoliating Cleanser. It gently refreshes your skin. The glycolic acid in the formula as well as willow bark and jojoba beads help to alleviate clogged pores. It also removes dead skin, dirt, and oil buildup on your face. It gives you a deep clean feeling and would not just clean the surface of your face. This facial cleanser also removes dark spots and age spots. It reduces discoloration and even helps with acne, scars, and premature aging. The facial wash also helps in brightening a dull looking complexion. Another great alternative is the Philosophy Purity Facial Cleanser. This is great for removing makeup. It is specially formulated to gently cleanse, tone, and melt away all face and eye makeup in one simple step. This will also effectively hydrate your skin. Gently massage a small amount onto your damp face for about 30 to 60 seconds. It’s advisable to use it both in the morning and evening. This face wash is great for all skin types. It is suitable for those with sensitive skin. It leaves your face silky smooth and fresh. It’s gentle and does not leave any stingy feeling. 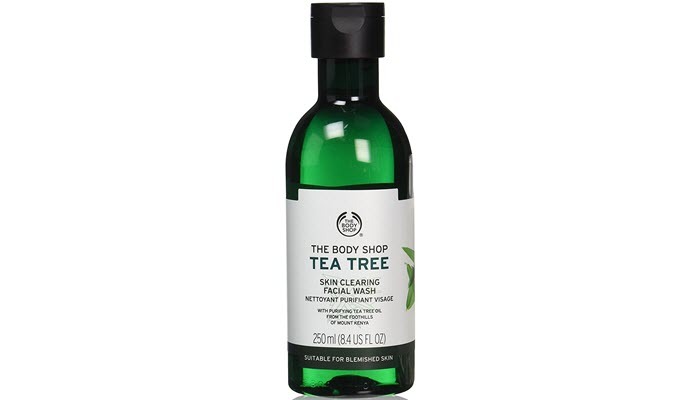 The Body Shop Tea Tree Skin Clearing Facial Wash is also a great choice. It’s a gel based face wash that is great for skin that is prone to blemish. 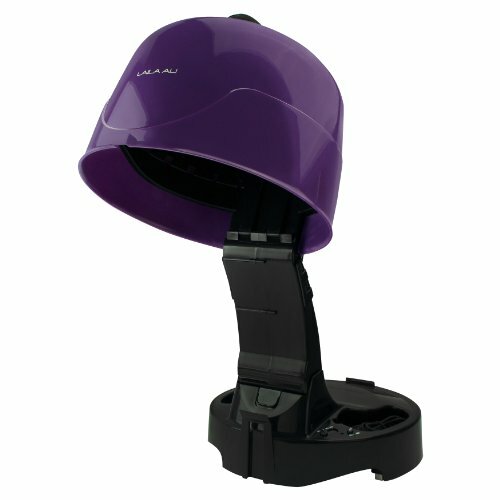 It is gentle and is suitable for everyday use. It is made with tea tree oil that helps maintain clearer looking skin. 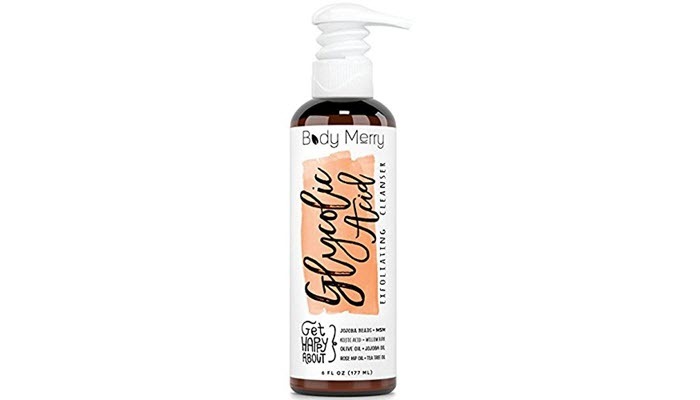 This facial wash also removes excess oil and does not over dry your skin. Tea tree oil is known for its purifying properties. Other ingredients include lemon tea tree and tamanu oil. This helps you achieve a shine free complexion. It’s advised to be used in the morning and evening. 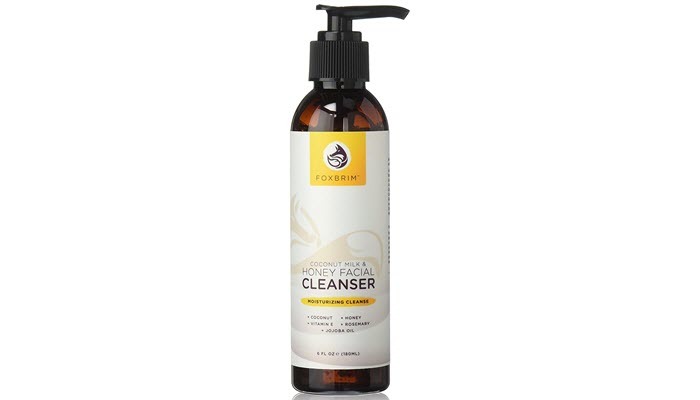 You could also try the Foxbrim Coconut Milk and Honey Face Cleanser. It gently washes away dirt and impurities on your skin. This will also improve your skin’s elasticity making it look a lot younger. It also smoothens your skin’s fine lines and wrinkles. The great thing is that it effectively removes excess oil without the natural oils that are needed by your skin. This face wash contains natural and organic ingredients like coconut milk and honey as well as aloe vera, jojoba oil and others. It hydrates and restores the softness of your skin, keeping it smooth and moisturized. 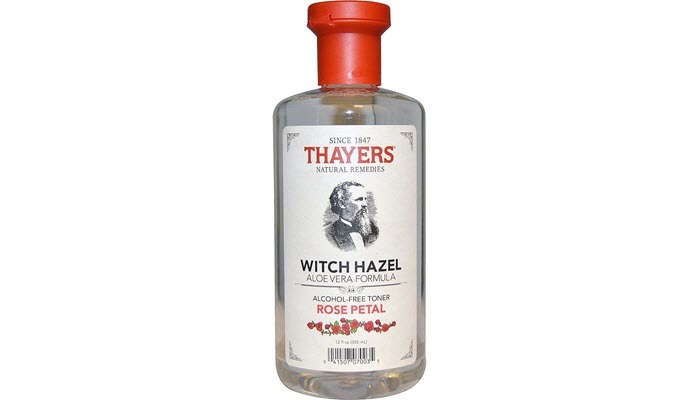 The most affordable option on our list is the Thayer’s Witch Hazel with Aloe Vera. This is a remarkably soothing toner that is made with rose petal water. The un-distilled witch hazel in the formula deeply cleanses and moisturizes your skin. It has a soft rose fragrance that will not only leave your face smelling fresh, it is also soothing and calming. The scent is all natural and contains no synthetic substance. It contains no alcohol so it does not dry your skin in any way. This is also suitable for those with sensitive skin. 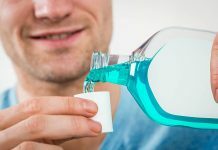 There are different types of facial cleansers out there and it can get confusing on how to pick one. Some are gel based and some are cream. There are also those with beads. How do you know the right one for your face? If you have dry skin, you need to remember that your skin has difficulty hydrating itself. This can get worse during winter or cold season. Cream is the best for those with dry skin types. You could also use milk based cleansers so you don’t lose the natural oils needed by your skin. If you have oily skin, you are more prone to breakouts. But this means that your face holds moisture better. You need an oil-free foaming cleanser to help prevent those breakouts. Make sure that the formula does not block pores. Salicylic acid is also great for oily skin. For those with a combination of dry and oily skin, you need a milder cleanser that is not too harsh on the skin and also does not remove too much sebum. Your face should not feel tight after washing. There are different considerations for sensitive skin. There are also different reactions to formulas. Generally, avoid cleansers that contain alcohol and strong fragrances. Calming ingredients like green tea, chamomile, and aloe could also help. If you have normal skin type, just make sure to choose one that doesn’t make your skin too greasy or too dry.